PROVEN EXPERTISE. NO MATTER THE SIZE. The Select Projects Group (SPG) is your trusted advisor for managing small to mid-range construction projects. 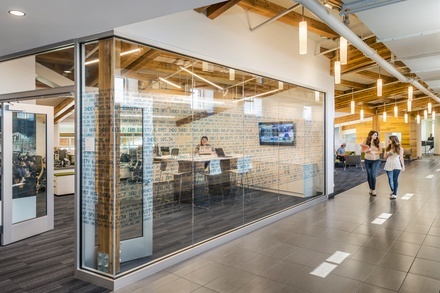 We offer a one-stop solution for managing the entire project life cycle including corporate interiors, historic restoration, building repositioning, new construction and renovations. We understand the unique needs that go hand-in-hand with projects of this scale and complexity such as speed-to-market, occupied building construction, phasing, tenant fit-out and complex design requirements. Small-scale projects still require large-project planning. No matter the scope, our team offers an extensive portfolio of preconstruction services such as budgeting, estimating and value engineering to help achieve your project goals. In addition, our unique model incorporates the latest technology from our Integrated Services Team. Services include laser scanning, HoloLens augmented reality, Building Information Modeling and Lean building strategies to accelerate the schedule, lower cost and minimize risk. 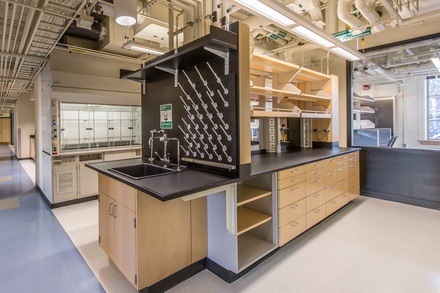 We’ve delivered many SPG projects throughout New England in the higher education, healthcare & life sciences and corporate/commercial markets. BOND is providing construction management services for a phased renovation to 15,000 SF of the library’s existing Conference Center. This renovation will increase the capacity of the Conference Center by adding a new kitchen, an elevator, A/V equipment, restrooms, MEP/FP systems and interconnecting monumental stair. The Conference Center will remain fully functional. Work also included an exterior support excavation to create a new natural light source window well. Construction is expected to be completed in May 2019. BOND provided preconstruction and construction management services for the renovation of two lecture halls in an occupied facility. The scope of work includes a complete mechanical upgrade, new seating, lighting, acoustical ceiling, and carpet. Completed in August 2018. BOND is providing preconstruction and construction management services for renovations to the fourth floor for the Creative Writing Program. A total of 4,000 SF will be gut renovated to create a fresh environment with a combination of offices and flexible meeting spaces. Restoration of the historic wood exterior windows is also included.